From sandy shorelines eroded by the intense blue waters of the Mediterranean, to peaks and colorful landscapes in its interior, Sardinia is perfect for an active escape beyond the Dolomites. The Mediterranean’s warm waters are a haven for active vacations and relaxation alike. And Sardinia, the largest of the Italian islands, and the second largest of the Mediterranean, offers hikers coastal trails and mountain tracks alike! The unique combination of beautiful coastline, pleasant climate, rich history, and diverse culture make Sardinia ripe for adventure. Its coasts are lined with white sand beaches, towering Limestone cliffs in fantastic shades of purple, gray, and black, and caves full of stalactites and stalagmites, surrounded by the blue green waters of the Sardinian sea. Away from the shore is a harshly beautiful, wild landscape, characterized by mountain chains, forests, plateaus, and rivers. And everywhere on Sardinia there are traces of human settlements, ancient and rich in history and legends, dating as far back as the Neolithic Age. And did we mention the food!? Not surprisingly, seafood figures prominently in Sardinian cuisine, as does wild boar, stews, and unusual pastas waiting to be discovered. Exploring the island never ceases to be extraordinary. What are you waiting for? Come join us in the Dolomites… and BEYOND! Click here to visit our Sardinia web site; and contact us for more information on planning your vacation with Dolomite Mountains. 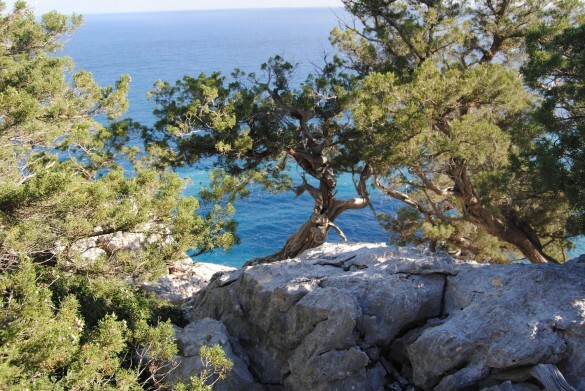 Hike the wild, beautiful trails of Sardinia, reaching high elevation prehistoric sites and gorges, and descending to the crystal blue waters of the Mediterranean! The grand finale? 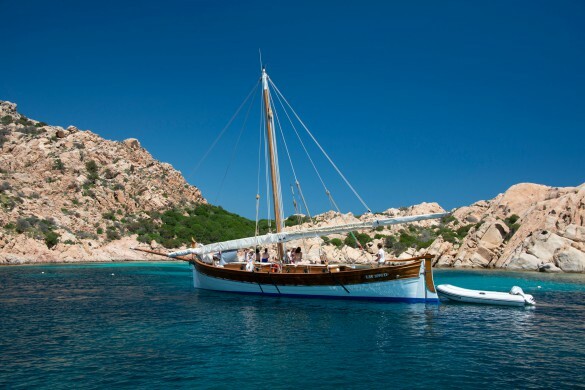 Enjoy a luxurious, leisurely day relaxing on an incredible sailing yacht as you cruise around the idyllic La Maddalena archipelago. 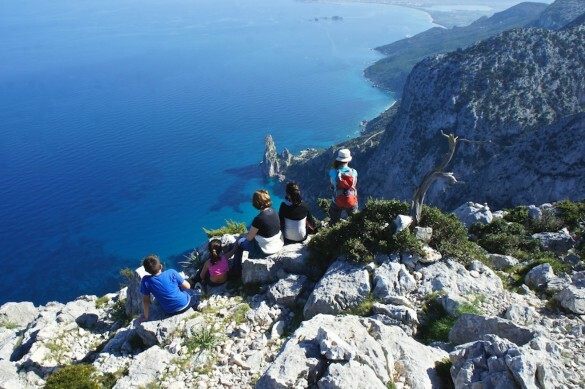 Combine active adventure hiking Sardinia’s mountain trails, with leisurely days relaxing on incredible beaches! Discover one of the deepest gorges in all of Europe, ancient stone towers used by Sardinians to defend the island from invaders, and the idyllic La Maddalena archipelago. Explore Sardinia, hiking across beautiful coastal trails and over mountain tracks, on this easy to moderate hiking itinerary. Experience the Supramonte Mountains, where narrow gorges and hidden canyons descend to the Orosei Gulf, and luxuriate on the brilliant white sand of incredible beaches with crystal clear water and intense turquoise colors! 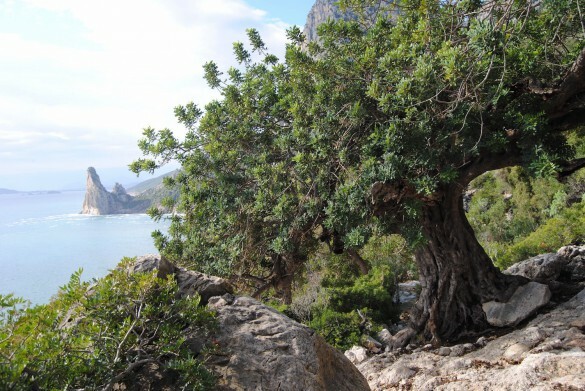 Discover Sardinia’s mountain trails, coastal tracks, and incredible beaches on this moderate to challenging hiking itinerary. Hike in the Supramonte Mountains, where narrow gorges and hidden canyons climb to ancient relics, and descend to the incredible white sand beaches and turquoise waters of the Orosei Gulf. 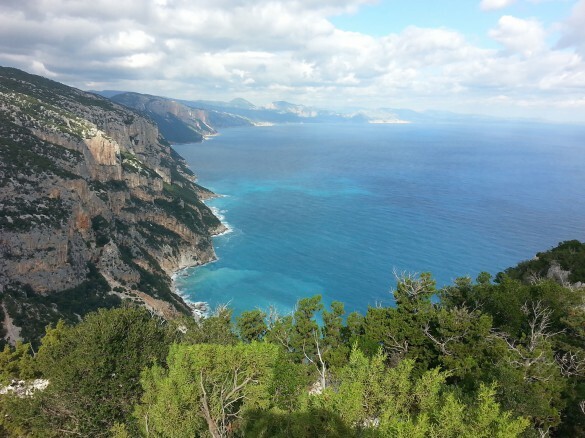 Hike the Selvaggio Blu – the Wild Blue – the wildest, most beautiful trek in all of Italy! This legendary, challenging trip will take you high above limestone cliffs and down to secluded beaches on rugged terrain winding along Sardinia’s beautiful Orosei Gulf! 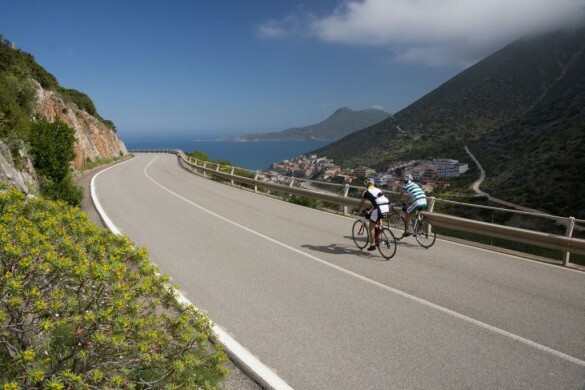 Sardinia is a real paradise for bikers thanks to its mild weather, beautiful and various landscapes, quite roads, healthy and tasty foods, and Sardinian hospitality.